If Cancun sound too busy, consider staying in the heart of Mexico's Riviera Maya, and enjoy eco-tourism, history, and fantastic beaches along the Yucatan Peninsula. Families will find dozens of quality resorts, tiny boutique hotels and budget hideaways to meet every vacation interest. The Riviera Maya is defined as the 87-mile/140-km-long corridor from Playa del Secreto (about 18 miles south of the Cancun Airport) south to Punta Allen. Here, along the Yucatan’s eastern shore, the gems of Mexico’s Caribbean coast are on display. 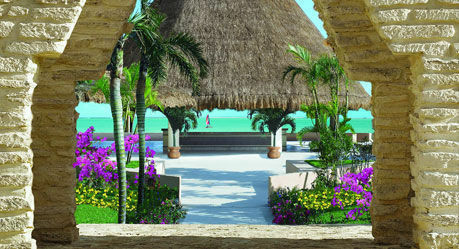 Gorgeous resorts tucked under the swaying palms line miles of beach. Only accessible by quarter-mile-long driveways from the sole highway, they are screened from each other by clusters of mangrove, virgin coastline pitted by coral outcroppings, and hectares of land awaiting development. In the small fishing villages, descendants of the original peoples, Mayan Indians, live in clusters of thatched-roof cabañas and work as hotel employees and suppliers to the nearby resorts. For families, these resorts represent an embarrassment of riches. Cheap access through the international gateway of Cancun, excellent infrastructure, gracious and hospitable people, spectacular scenery and pristine seas, fascinating Mayan archeological sites, wonderful food and cheap booze have combined to make the Riviera Maya one of the most sought-after destinations by Americans. 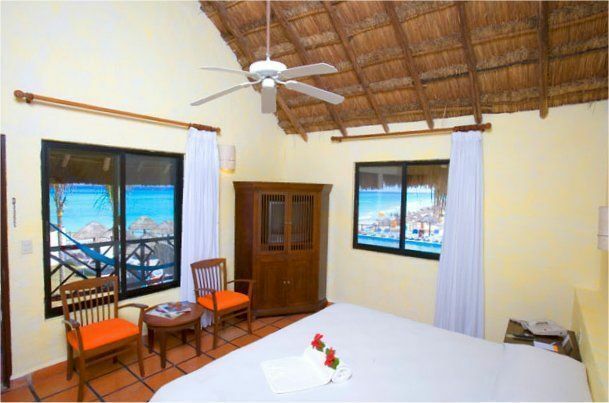 According to the Riviera Maya’s tourist board, there are more than 35,000 rooms in the zone. 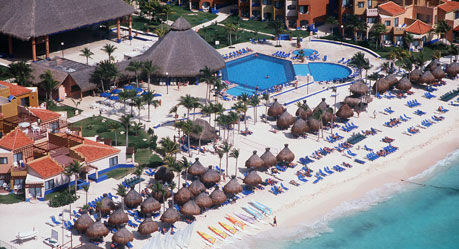 The largest tourist center is Playa del Carmen, the once sleepy port for the once-undiscovered island of Cozumel. Now, it's a hotbed of small boutique hotels (many are reviewed by FTF). Playa del Carmen is still a port where high-speed catamarans have allowed the old wooden ferries to retire. With its huge success as a cruise ship port of call, even sleepy Cozumel is a magnet for North American tourists. Outside of Playa del Carmen, most of the Riviera Maya resorts are built on substantial property that allows them a more isolated feel. FTF has a lot of coverage from staff and freelancers, as well as blogs from other readers, about hotels and resorts all along this coast of Mexico. You can read more about them at these links and look for Related Articles in the righthand margins of each story. And please, don't forget to share your favorite resorts in the Comments field below. Relax your tired nerves and make your life enjoyable with our Holiday Tour Guide. Find information about all kinds of traveling destination for family, couple, official staff etc. Choose best place suiting your budget!